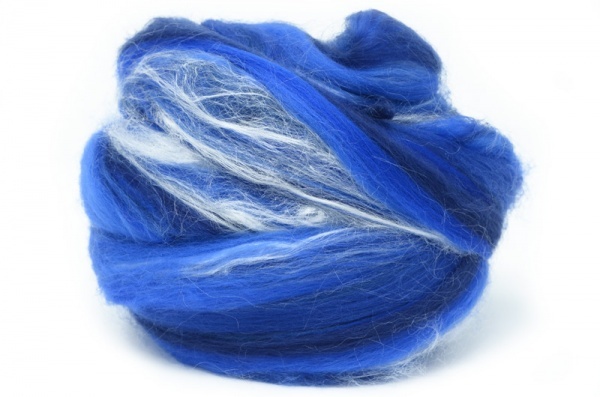 Our famous blends of Merino Wool and white Tussah Silk. Imagined and made entirely on-site here at Wentworth, our famous Wingham Blends have been a staple for fibre-artists around the world for over 20 years. All the shades are selected from our range of standard dyed Merinos and processed with white Tussah Silk to a 70:30 ratio (approx). 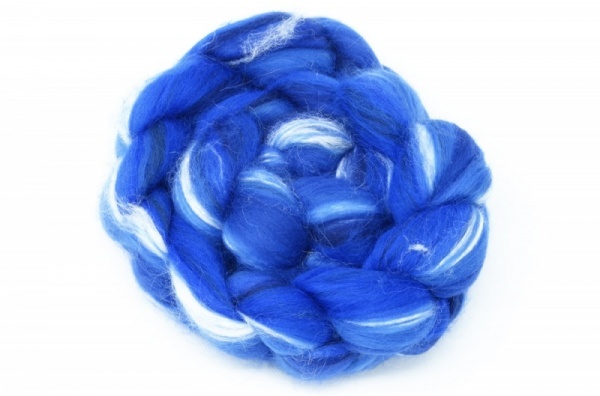 Our favourite way to use these blends is to spin them straight from the top, creating a wonderfully colourful yarn, though they can be carded or felted..... It's entirely up to you!